In the past three fiscals, the revenue deficit of the Department of Posts, trading as India Post, has ballooned nearly 150% from Rs 6,007 crore in FY16. It is now reportedly the biggest loss-making PSU, leaving headline-grabbing losses of the likes of Bharat Sanchar Nigam Ltd (BSNL) and Air India far behind. According to The Financial Express, India Post's annual deficit touched a staggering Rs 15,000 crore in FY19, thanks to high pay-and-allowance costs, now at over 90% of its annual revenue. In comparison, the buzz is that BSNL - which had reported losses of around Rs 7,992 crore in FY18 - is expected to narrow it down to Rs 7,500 crore for FY19 while Air India had posted a net loss of Rs 5,337 crore in FY18, down over 17% year-on-year. India Post's pay and allowances cost reportedly stood at Rs 16,620 crore in FY19 (revised estimate), against revenue of Rs 18,000 crore. If you factor in pension payouts to the tune of another Rs 9,782 crore, the employee cost itself added up to Rs 26,400 crore in the last fiscal, nearly 50% more than the total receipts. While salaries have steadily climbed with successive central pay panel awards, revenue from traditional postal services have gone the other way. The entity, which runs the world's largest postal network along with popular savings schemes, a payments bank and, more recently, even an e-commerce portal, has projected revenue of Rs 19,203 crore for FY20. On the other hand, the expenditure on salary and allowances for its massive 4.33 lakh workforce is pegged at Rs 17,451 crore while pension outgo is expected to be around Rs 10,271 crore. So the revenue-deficit gap is only set to widen further in the next fiscal. 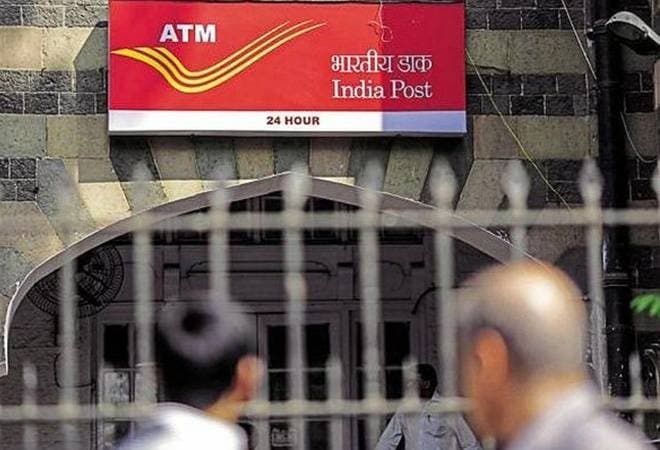 "For a universal service like postal service, losses will be there as there are more post offices [1.56 lakh] in the country than bank branches [1.16 lakh] of all commercial banks put together," an official told the daily. "However, the huge mismatch between the product-service and price charged by the postal body needs to reduced," he added. For instance, India Post spends on an average Rs 12.15 on each postcard but realises only 50 paise or 4% of the cost. Similarly, the average parcel service cost is Rs 89.23, but recovery is only half of that. The under-recoveries are also pretty high for services such as Book-Post, Speed Post, registration, et al. Furthermore, revenues have taken a hit from dropping volumes as letters, telegrams and parcels have given way to phone calls, emails and courier companies. An achievements report released in January claimed that the average annual Speed Post revenue had more than doubled under the Modi government as compared to the previous Manmohan Singh era - the revenue increased to Rs 1,682 crore in 2014-18 from Rs 788 crore in 2006-14. The total assets under management (AUM), including government's Special Securities and Floating Rate Bonds, increased to Rs 93,068 crore by September 2018 from Rs 25,856 crore in March 2014. But that is simply not good enough given the mounting salaries, cost of materials, oil, diesel and revision of service tax on government buildings, as India Post had pointed out in its March 2018 annual report. The Expenditure Finance Committee, headed by the expenditure secretary, has reportedly directed the postal department to be self-sufficient by levying adequate user charges since the Centre's Budget cannot continue to absorb such recurring annual losses. Apart from raising prices of products, India Post may also be asked to diversify into more value-added services by leveraging its huge workforce and postal network. In the past few years, the body has already diversified into new areas - think setting up Post Shoppes to peddle a diverse range consumer products in post offices, selling financial products like sovereign gold bond, mutual fund and insurance, offering passport services and selling railway tickets. But these initiatives generated only Rs 844 crore in 2018. The bulk of its revenue still comes from the National Savings Schemes and Saving Certificates. This had contributed 60% of its revenue of Rs 11,511 crore in FY17. Hence, it has now started looking at greener pastures - for instance, after launching the India Post Payment Bank in 2017, late last year it set up an e-marketplace for rural artisans, self-help groups and public sector units to sell their products. According to officials, given India Post's reach, it can also become a favoured Cash-On-Delivery (COD) channel used by e-commerce brands such as Amazon and Flipkart. However, it has not been able to garner much business from this segment due to handicaps like lack of warehousing facilities. The Department of Posts has collected and remitted around Rs 2,700 crore under the CoD model till January 2018 since its introduction in December 2013. Nonetheless, it is hoping the e-commerce bet will pay off. After all, this segment is growing at a rate of 20-25% a year, and an average of 7,753 people are served by a post office in the country - 5,995 people in rural areas and 23,720 in urban India.